Step inside a new standard of water front living in this spectacular residence located within the gates of the Pasadena Yacht & Country Club. 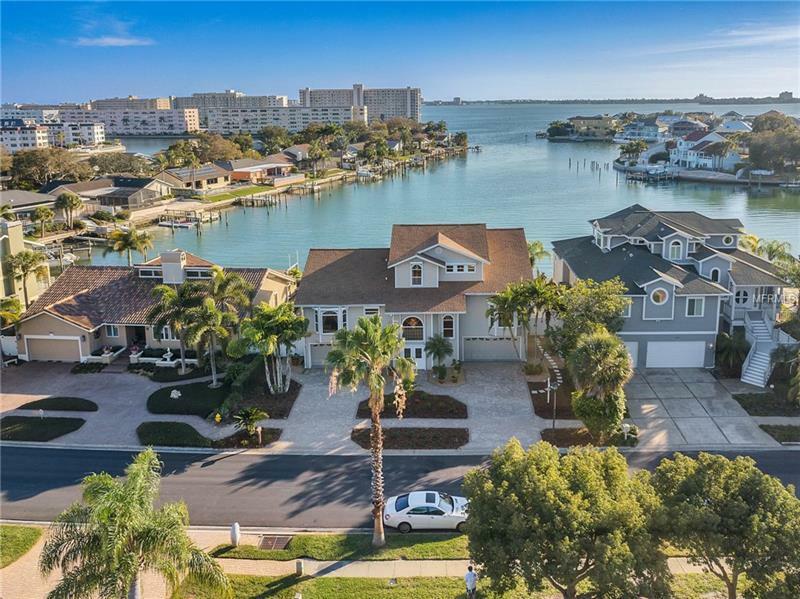 An unparallelled view of the Intracoastal waterways surrounds this exceptional home. The kitchen has just been renovated with oustanding quality quartz counters cabinets stainless appliances new flooring and views that are breathtaking! Enjoy meals at the snack bar or in the kitchenette with expansive water views! The bathrooms have granite counter tops and nuetral colored tiles. Pride of ownership is clearly displayed throughout this domicle; graced with rich wood floors high ceilings expansive views of the Intracoastal and the Tierra Verde bridge. Relax on the balconies and watch the sun set the boats sailing the dolphins playing; entertain with delight in the living room and dining room. Natural beauty blends seamlessly around the pool deck and fire pit. The home features an office den 4 car garage with additional lower level bonus rooms. The flood insurance is less than $1400 per year.